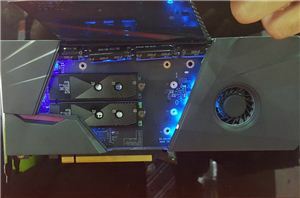 Kingston's HyperX teased a new Fury-branded RGB LED SSD at Computex. 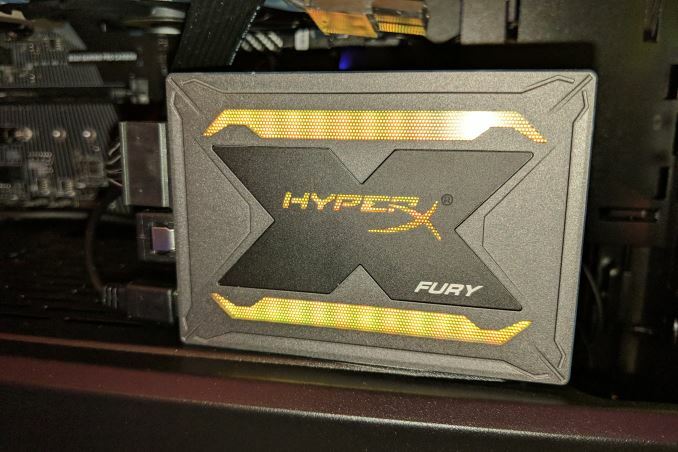 The company didn’t have set specifications for the new 2.5” SATA 6GB/s SSD (HyperX is still fine-tuning the product, according to the company rep), so we don't know much at the moment. 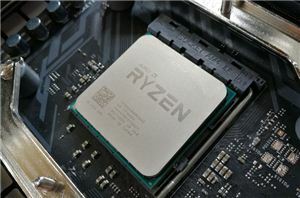 However, the drive itself features standard SATA connectors (power and data) and an additional port that connects to the motherboard for RGB LED control. The micro-USB connection allows the SSD to use vendor-specific RGB LED software for control and allows the SSD to be daisy chained to multiple RGB devices. The company didn’t specify which motherboards would support the new RGB LED SSD. The only viable specification HyperX provided were the sequential read and write speeds, rated at up to 500MB/s and 480MB/s, respectively (lower than what was mentioned during CES this year). This is well below the performance of the company's Savage-branded SSD, which is rated for 560MB/s and 530MB/s sequential read and write speeds using a Phison S10 controller with TLC NAND. With slower rated speeds, the new Fury RGB LED SSD may be less about performance and more about the bling, but the MSRP will undoubtedly determine the flashy storage's future. Full specifications and pricing for the new HyperX RGB LED SSD are currently unavailable, but if you're itching to add yet another piece to your PC that lights up (we’ve nearly seen it all – RGB LED PSU cables anyone? ), the company said that it expects to start shipping this flashy flash storage drive in Q3 of 2018. Derek Forrest contributed to this article. 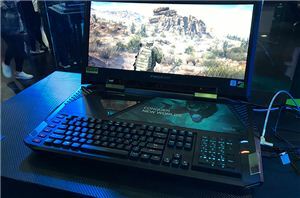 So have they finally put rgb on everything and made my nightmare come true. A other time was graphics cards LEDs with the controller software was so horrible. The other time was with some graphics card which during the windows 7-10 migration were software was still in some limbo state or you had to download like almost bloatware to turn them off. There are luckely graphics card these days with physical button these days. Anyway in the end you had to like download extra crappy software , tweak or manually try to find the rgb wire and unplug it.